France has rejected the Congress party's allegation that the Narendra Modi government has negotiated an overpriced deal with French company Dassault Aviation to supply the Indian Air Force with 36 state-of-the-art Rafale fighter jets, while the Anil Ambani-led Reliance Defence Limited has threatened to sue the opposition party if it does not retract its charge that it was unfairly picked to be the French firm's Indian partner. The first Rafale jets are to be inducted into the Indian Air Force from 2019 onwards. "This fighter jet has been selected for its outstanding performance and competitive price. It was selected through a fully transparent and competitive process," French diplomatic sources said today, describing the Congress' allegations as "a domestic political matter" that they would not like to enter. 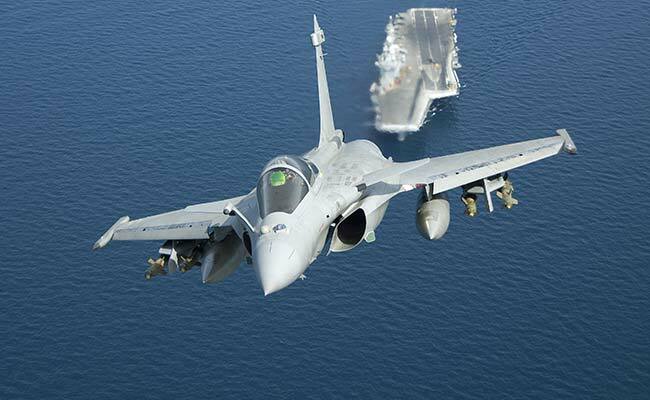 The Congress alleged on Tuesday that Prime Minister Narendra Modi's government has caused the exchequer an "insurmountable loss" by signing the deal for 36 Rafale aircraft from France for Rs 58,000 crore (7.8 billion Euros). The opposition party has said that the cost of each aircraft is three times more than the price negotiated with France by the previous Congress-led UPA government in 2012. The Congress has also accused the government of "crony capitalism" by promoting "the interests of one industrial group, i.e Reliance Defence Limited, which has led to the company tying up and entering into a joint venture with Dassault Aviation worth Rs 30,000 crores?" Reliance Defence today warned of legal action against the Congress if it does not withdraw the allegations. "Government policy issued on 24 June 2016 allows for 49% FDI in the Defence Sector under the automatic route, without any prior approval. No approvals from the Union Cabinet or CCS were required for the formation of the aforesaid Joint Venture company under the automatic route," the company said in a statement. The BJP has called the Congress allegations a "stunt" to deflect attention from the prospect of its top leaders, including the Gandhis, being questioned in the AgustaWestland VVIP chopper scam. The price of each aircraft in the current deal is higher than was negotiated in 2012, but several aspects of the new deal that have sent the cost up have not been stated by the Congress in its latest allegations. After Rafale emerged as the lowest bidder in an international tender in 2012, the final deal for 126 aircraft was never closed by the UPA government. By the time the BJP-led government came to power in 2014, the deal was deadlocked with Dassault refusing to certify key components of the jet which were to be built by Hindustan Aeronautics Limited, unless a series of conditions were met. With no deal around the corner and with successive Air Chiefs telling the government that India's air defence would be seriously affected without the jets being inducted, PM Modi had announced an off-the-shelf purchase from France during a visit to Paris in April 2015. "France has always been a reliable supplier for India from jet fighters to submarines," the Prime Minister said. The final deal came at 2016 prices, significantly higher than what was on offer four years earlier. Also, it was calculated that manpower required to assemble each jet was nearly three times higher in India than it was in France. Apart from the aircraft, the new price also includes state of the art weaponry, spares support for seven years and India-specific customisation of the jet that the French Air Force and Navy operate. The French will also guarantee the performance of the Rafale and provide complete logistics support to ensure that 75 per cent of the fleet will be battle-worthy when required. The deal negotiated by the Congress government had not included these.